As a young boy, Amitav Ghosh's narrator travels across time through the tales of those around him, traversing the unreliable planes of memory, unmindful of physical, political and chronological borders. But as he grows older, he is haunted by a seemingly random act of violence. Bits and pieces of stories, both half-remembered and imagined, come together in his mind until he arrives at an intricate, interconnected picture of the world where borders and boundaries mean nothing, mere shadow lines that we draw dividing people and nations. 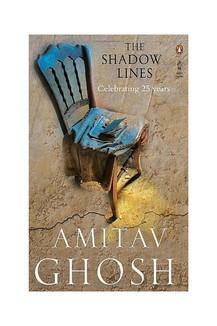 Out of a complex web of memories, relationships and images, Amitav Ghosh builds an intensely vivid, funny and moving story. Exposing the idea of the nation state as an illusion, an arbitrary dissection of people, Ghosh depicts the absurd manner in which your home can suddenly become your enemy. Winner of the Sahitya Akademi Award.